WASHINGTON, DC, January 13, 2011 (ENS) – The U.S. Environmental Protection Agency said Wednesday it will defer greenhouse gas permit requirements for biomass energy production for at least three years for reconsideration of the science and rulemaking. Sources covered by this decision include facilities that emit the greenhouse gas carbon dioxide, CO2, as a result of burning forest or agricultural products for energy, wastewater treatment and livestock management facilities, landfills and fermentation processes for ethanol production. On May 13, 2010, EPA announced the Greenhouse Gas Tailoring Rule and included greenhouse gas emissions from biomass energy in the permit program. The deferral is in response to a petition by the National Alliance of Forest Owners’ to reconsider the treatment of biomass carbon emissions under the Tailoring Rule. NAFO members own more than 79 million acres of forestlands in 47 states. “Renewable, homegrown power sources are essential to our energy future, and an important step to cutting the pollution responsible for climate change,” she said. In letters dated January 12 to Congresswoman Debbie Stabenow, Senator Max Baucus and other biomass supportive lawmakers explaining the deferral, Jackson emphasized her confidence in biomass as an environmentally sound fuel choice. By July 2011, Jackson said EPA plans to complete a rulemaking that will defer permitting requirements for carbon dioxide emissions from biomass-fired and other biogenic sources for three years. Biogenic sources include ethanol producers. 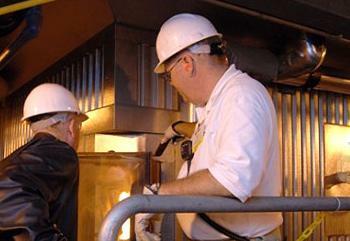 Biomass power is a $1 billion industry with 80 facilities in 20 states and supports more than 14,000 jobs nationwide. Biomass power plants usually are located in rural communities, creating thousands of jobs and producing millions in revenue for small towns. Jackson said the EPA will issue guidance soon that will provide a basis for state or local permitting authorities to use to conclude that the use of biomass as fuel is the Best Available Control Technology for greenhouse gas emissions until July when the agency expects to complete a rulemaking action on the three-year deferral. 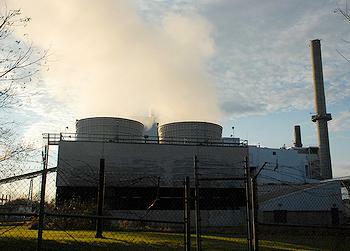 Environmentalists object to the EPA’s deferral decision. 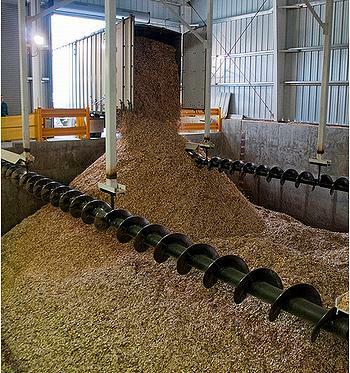 But biomass fuel producers like the EPA’s move. Calling the EPA’s decision “the right step,” Renewable Fuels Association President Bob Dineen explained how the biogenic sources provision of the deferral will benefit his industry. “Biogenic CO2 emissions that result from the fermentation of corn or other biomass are, by nature, carbon neutral because those emissions are naturally offset when the biomass removes an equivalent amount of CO2 from the atmosphere via photosynthesis,” said Dineen. “Because biomass is carbon neutral, RFA and other stakeholders expressed concern when EPA failed to exempt biogenic emissions” from the Tailoring Rule. Until recently, both industry and government have assumed that biomass burning is “carbon-neutral, that is, it adds no net greenhouse gases to the atmosphere. Biomass Accountability Project President Meg Sheehan said the EPA ruling means the agency will give this “presumed carbon neutrality” a second look, emphasizing that “hard science will be the arbiter of the outcome.” This could mean the biomass energy industry will be subject to more, not less, regulation. “Recent respected scientific studies indicate that carbon neutrality is not supported by the facts, so the industry is likely to face increased regulation and scrutiny,” Sheehan said, citing a 2010 study commissioned by Massachusetts that showed burning biomass over decades puts more carbon dioxide in the atmosphere than burning coal.